Developer Edmund McMillen stated on his blog that he wishes to bring the game to all systems possible, but we will need to be a bit more patient while development is still underway. Also, there is no set release date for when the game opens up to those outside of the US (sorry!). Some new features to look forward to are the addition of fire stages that set enemies and Isaac (and company) ablaze. There will also be a new character in Lilith (shown below) who will begin each game with one of the best new demon familiars, Incubus, as well as a box that holds a mysterious, but very useful power to those that know how to abuse it. -co-op is local play only. -p2 can only join of p1 has more than one container heart. -p2 can steal life from p1 by pressing start, but cant steal any life if p1 has only one heart left. -there are NO co-op related requirements to gain platinum god. -there will be some co-op related achievements. -p2 flys, but cant pick up any items. -once p2 dies when they respawn their baby is randomly chosen again. -p2 can leave play giving p1 back their life at any time, but if they spawn back in they will be using the same baby. 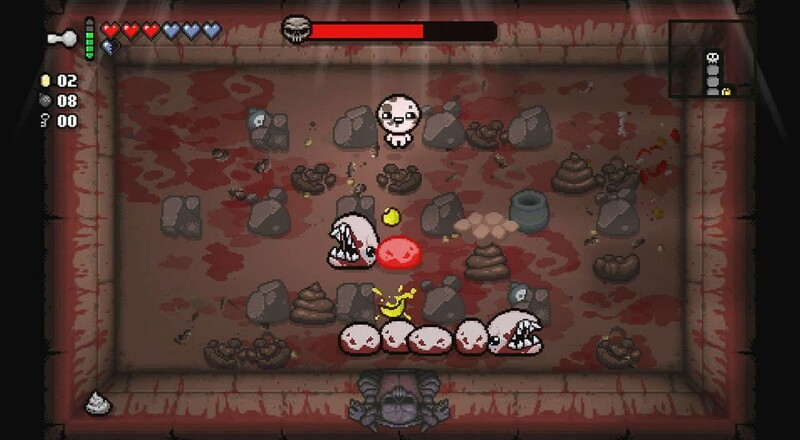 The Binding of Isaac: Rebirth will be available for $14.99.. Page created in 0.4316 seconds.